Sometimes you just want a light pasta dish. 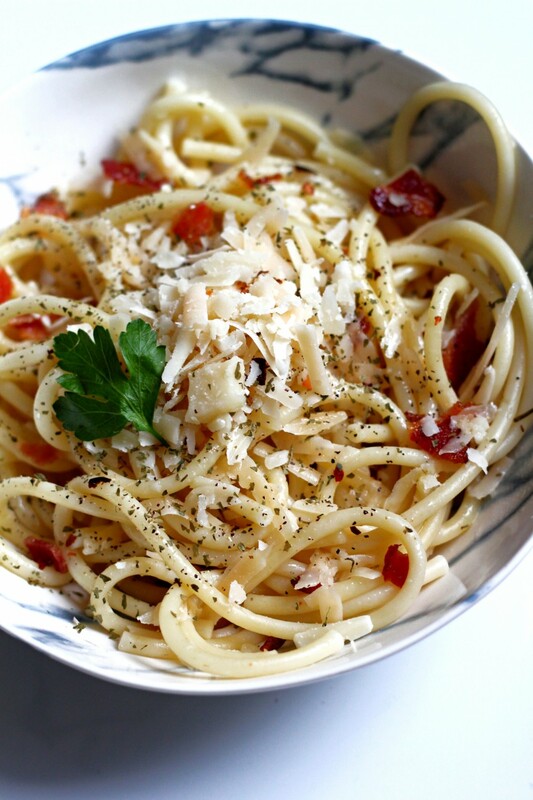 Can I interest you in Bucatini Pasta Recipe with a Lemon Garlic Bacon Sauce? Okay I know what you’re thinking, the bacon just made this dish “not light”. But it isn’t THAT much bacon, I promise. Let’s talk about the pasta now. I personally never loved true “spaghetti”. I like my noodles fat. Buccatini is essentially just fat spaghetti noodles with a hollow center. It’s basically just pasta straws. Have you ever tried it? I am going to say that bucatini is the best long pasta that ever existed and ever will exist. And Bon Appetit wrote an article titled just that…. Time to mix it up. 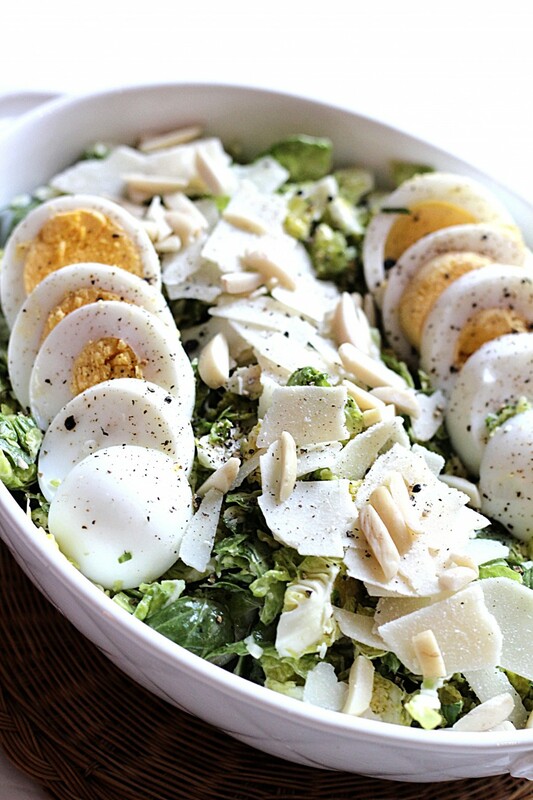 This is a Brussel Sprout Caesar Salad. And it’s amazing!! For some reason I don’t like how that sounds. But either way, it’s a new beginning. I love new beginnings. Except for me, I like to think of every day as a new beginning. Because let’s face it. Most days we need a fresh start. So yeah, I’m starting a YouTube channel! WOOHOO. It feels right. As for the blog, I’ll let it evolve. Eventually, you will show up to the blog see “Recipes, skin care, Other health topics…”. I always get questions about brussel sprouts recipes. I guess because there are only so many ways to make brussels, right? 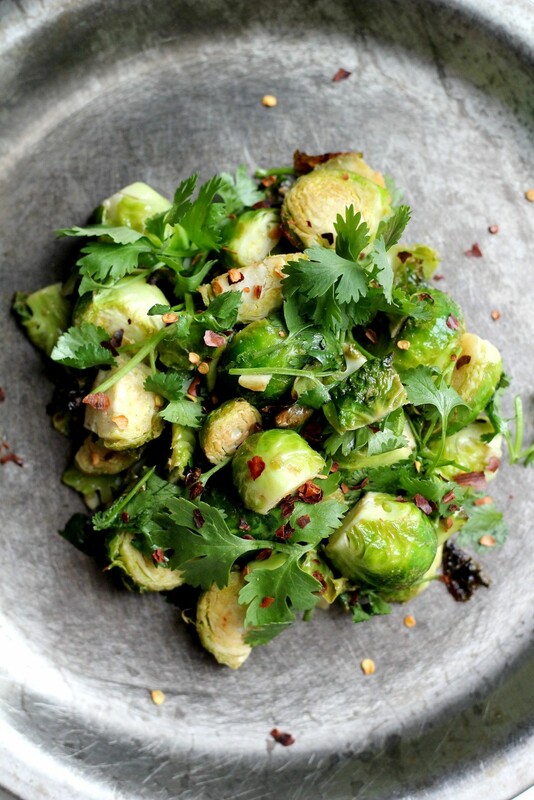 Here one way I make them, Brussel Sprouts, red pepper, cilantro, and a few other ingredients. It’s super easy! On a quick side note. For people who live in Covington or Mandeville, bacobar has the BEST brussel sprouts. Like I’m obsessed. If someone can tell me what’s in their recipe, I promise I will buy you dinner. This week I’ve had a lot on my mind.. Nothing new there. But one thing I want to share is this quote/mantra I’ve sat with. “Inspiration will find you working.” I don’t know where I saw this. It’s so simple but it means a lot to me. Sometimes without a clear goal in mind, I have trouble finding motivation. I think we all deal with this sometimes. But what I have to remember is if I just continue to work the inspiration will find me. All we have to do is show up. Work without question. And let the answers come to us, in time.